The x+ block has made a huge resurgence lately, and like the scrappy trip along, I'm jumping on that bandwagon, too. These are a lot slower going than the scrappy trip, so I won't be posting a finished top anytime soon. But I'm loving playing around with fabric combinations, spending the time to get every one just right. 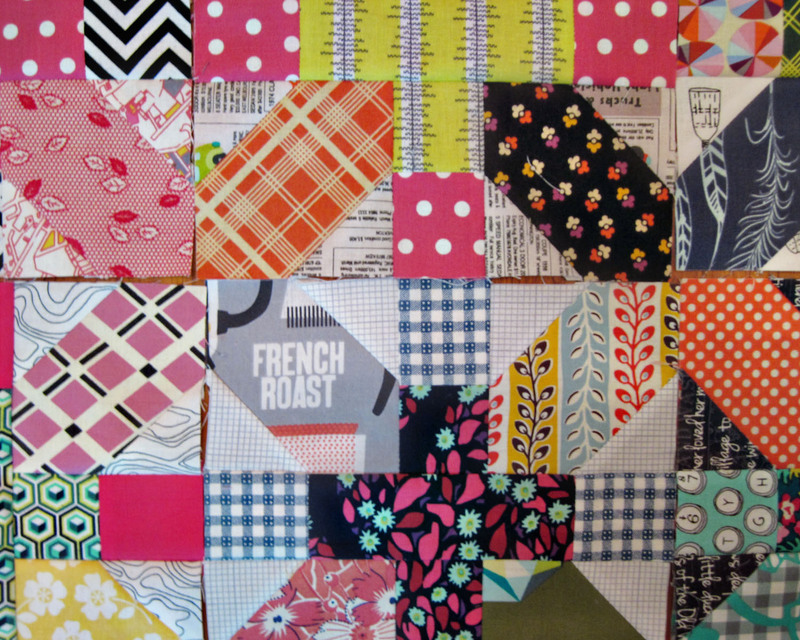 Coincidentally our February blocks for happiness at do good stitches are also x+ blocks. Bigger and in a more controlled colour scheme, but still as awesome. But back to the blocks for my project. After all, it's all about me, me, me! These are really challenging me to make interesting fabric choices and to carefully consider scale and value. 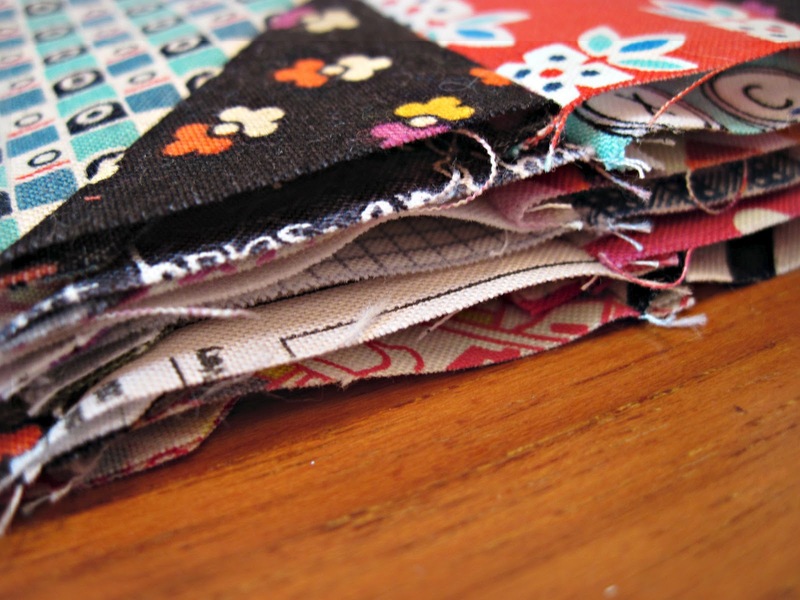 Recently Rachel over at Stitched in Color wrote about building a fabric stash and the addition of helpful fabrics. I loved reading her thoughts on this because it's something I've been thinking about a lot lately, too. When I got back in to quilting a few years ago my stash was mostly multicoloured, look at me fabrics. The star prints of the collection. And nothing played well together. I've been slowly building my stash of helpers, but it's hard when they cost just as much as those glamazons. I've also been really studying the fabric choices of quilters I admire and trying to dissect what makes their work so dynamic to me. This has meant really looking at what I'm buying and why. 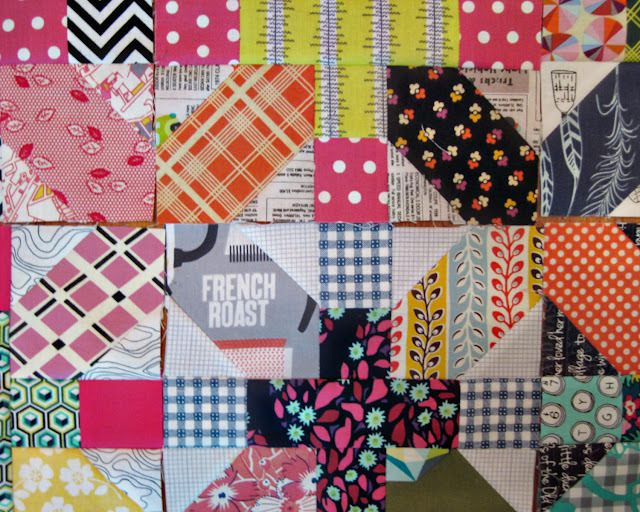 I still love those bold florals, but I realize I don't love them so much in quilts. What I do love are text, 30s, and quirky Japanese prints. Fuchsia and acid green. A little bit of clash. I really need to print out a picture of my ideal bundle, block, or stash, and tape it to the computer. No more impulse shopping, everything will fit the plan. Yeah right! They are fabulous! I love the colours! Nice blocks,I like the fabrics you're using there. 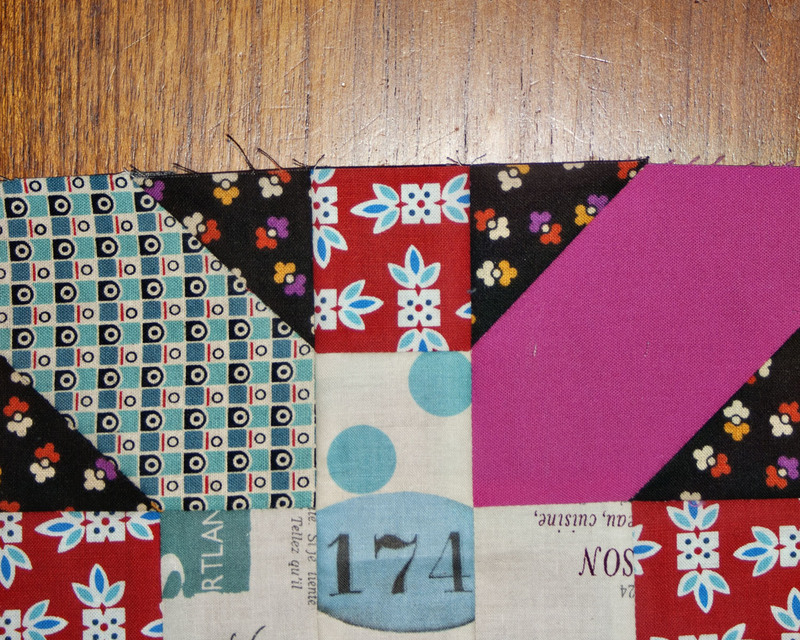 This block design is just made for scrappiness - the more the better, I think. Yours are lovely! I went through a similar process when moving my sewing room over the holidays. You and I have been quilting a similar amount of time. I think part of our 'problem' is that we have a lot of the old stuff. Many of the online bloggers have only been quilting/stash building since designer fabric really took off 5 years ago. They don't have the baggage, haha! Like you, I was analyzing the quilts of others I love, trying to figure out what they had that I didn't have in a stash. 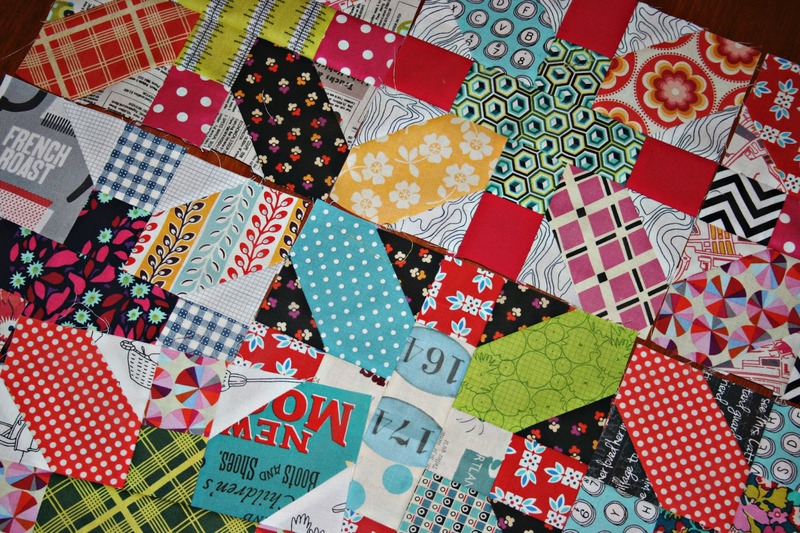 One thing that really stuck out for me with Rita redpepperquilts and Jolene of blueelephantstitches (two people whose work I always love) was that they almost always have white in their prints/quilts. I looked at my stash and realized almost none of my fabric included any white elements. I've been trying to work on that, doing my little bit for the quilting economy. I think your x+blocks look fabulous!! I've been evaluating my stash lately too, and have plans to only buy those things I truly love this year---including screenprinted fabric by independent designers. I'm hoping to be a lot more thoughtful about the things I buy and the things I sew with! 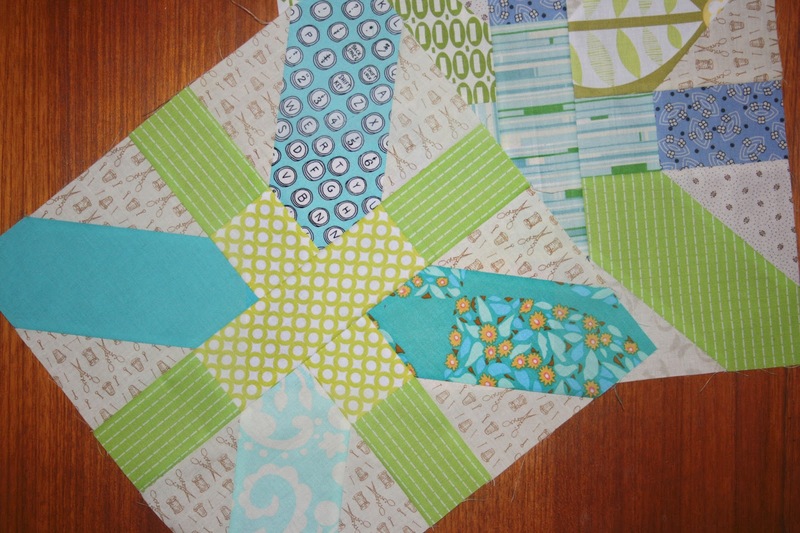 I'm loving the X &+ blocks lately too, I'm definitely using them as my next bee block. So cute. 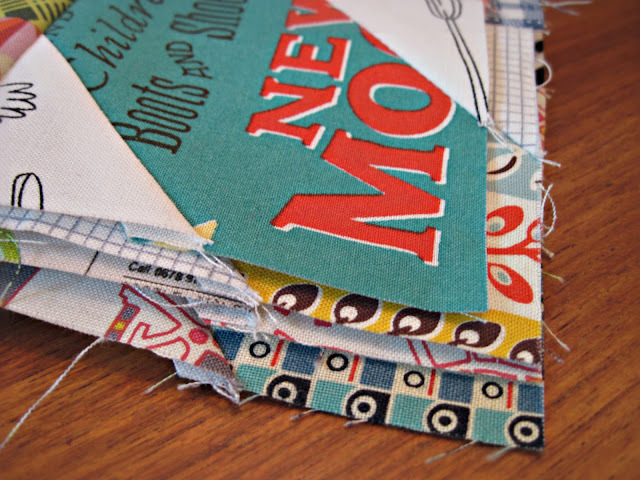 Love your fabric combos for these-- nice piecing too! Really nice and amazing colors. Very fantastic post.I read and liked the post.very beautiful colors. This block design is so amazing.I like it.